Getting an education or a job in an education environment is cool. It feels great when you can actually rely on education to help you become a better person. At one point in time, everyone needs to study. And as 2017 approaches, you have to do one thing if you haven’t before; enroll for a new course in a new school. Usually, the best way to do that is to download an Application Forms, and then use it to apply for a course that you would like to do. Here is a list of the best sample forms that you can use. Studying in a good school gives you the assurance of quality education. A good career path is what you need to take. So, applying to a school of excellence using this form is a wise step to take. 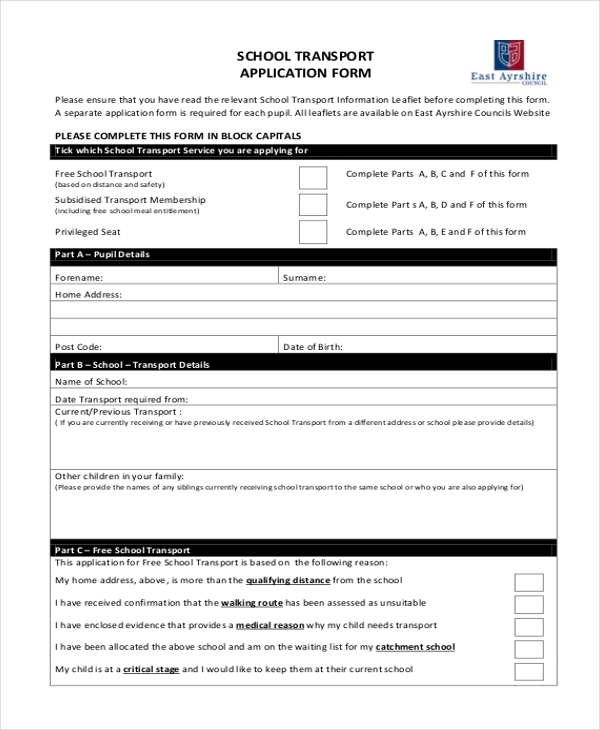 If you would like to support schools that offer quality education to students by providing transport services, then feel free to download and use this form for application. It is free to download and easy to use. You may also see Sponsorship Application Forms. Are you craving for a scholarship so much that you’d apply immediately you get one? If yes, then you need a professional, scholarship-based application form. Here is the best one to use. School uniforms are quite important, and thus you should apply for them when necessary, usually earlier so that a child can go to school on time. 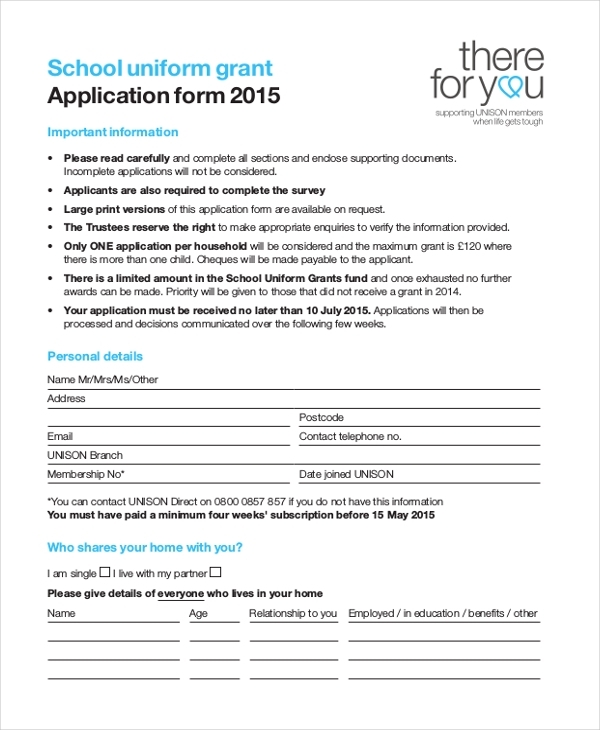 Here is a form for school uniform grant application. You can also see Grant Application Forms. Want to buy or hire a school bus for your learning institution? This form can help you to do it in minutes. All you have to do is fill the form out with relevant information and then submit to a dealer as planned. 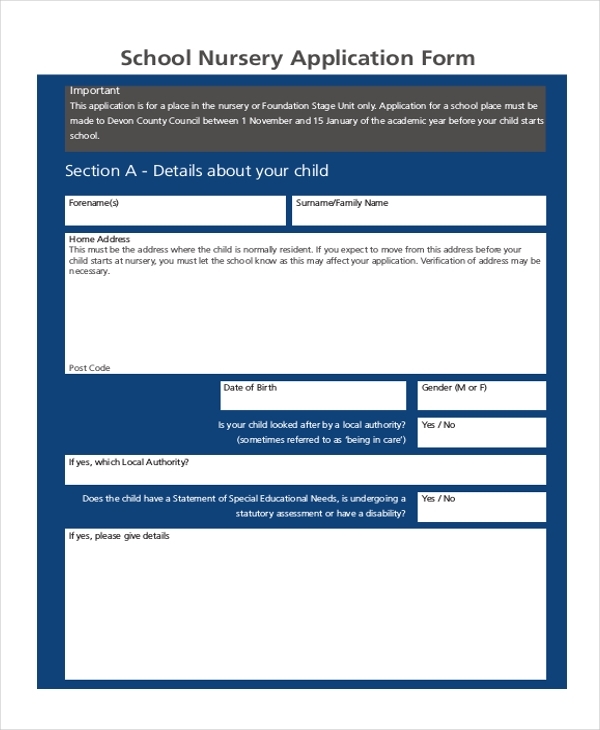 This form is for mothers and fathers who would like to take their kids to primary schools. After identifying the best institution where your child can get an education, use this same template to apply for a spot for them. 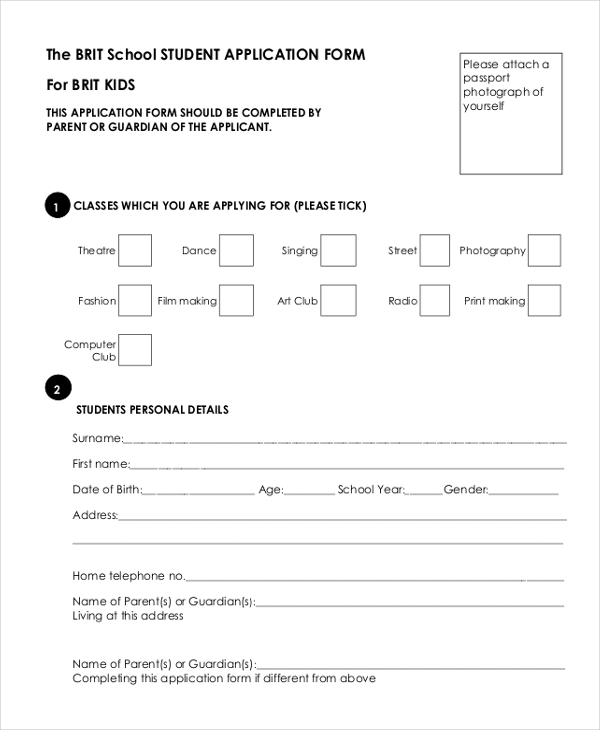 This form is suitable for parents who would like to take their children to school on summer. It is easy to use the file. First, you download the template for free. Then, you fill it out accordingly. Afterward, submit it to the school that you like. you can also see Citizenship Application Forms. Taking your child to nursery school on time can relieve you of a lot of weekly duties. But you need to apply for a school for them before they can actually start studying. That is why you need this sample form. If you are an aged student and you would like to apply for a new course in college, this is the best sample template that you can use to send in your application in the shortest time possible. What are The Benefits of School Application Forms? The sample forms enable parents to find and apply for the best schools for their kids within the shortest time possible. The sample files also have benefits to school students as well as the school community. 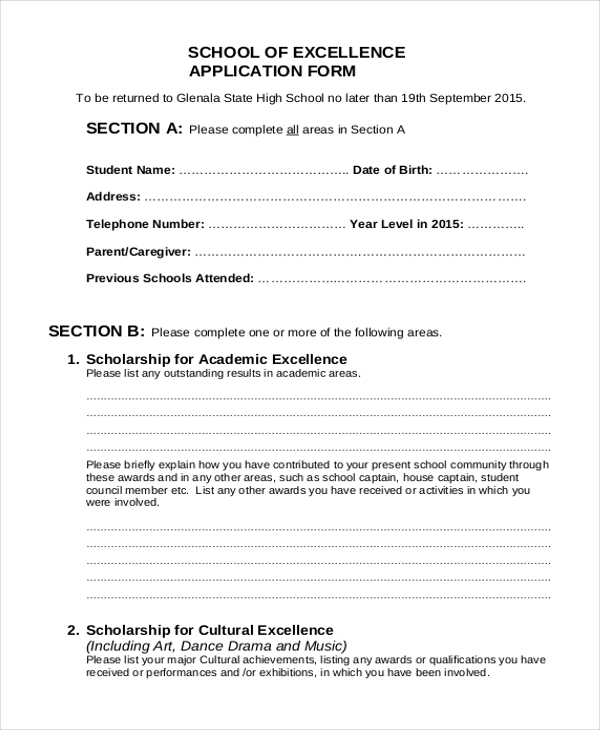 For students who are already in school, these sample forms are useful for a scholarship application. For the school, the forms are useful for making valuable requests. 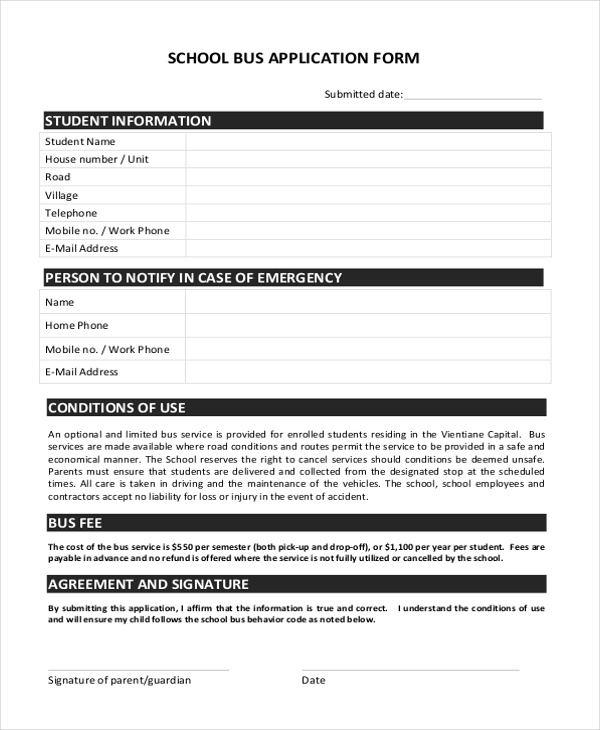 For example, a school can use a school bus application form to hire a school bus for education services. Keep mind that the primary goal of the sample templates is to make sure that you spend as little time as possible in the application process. You can also see Passport Application Forms. 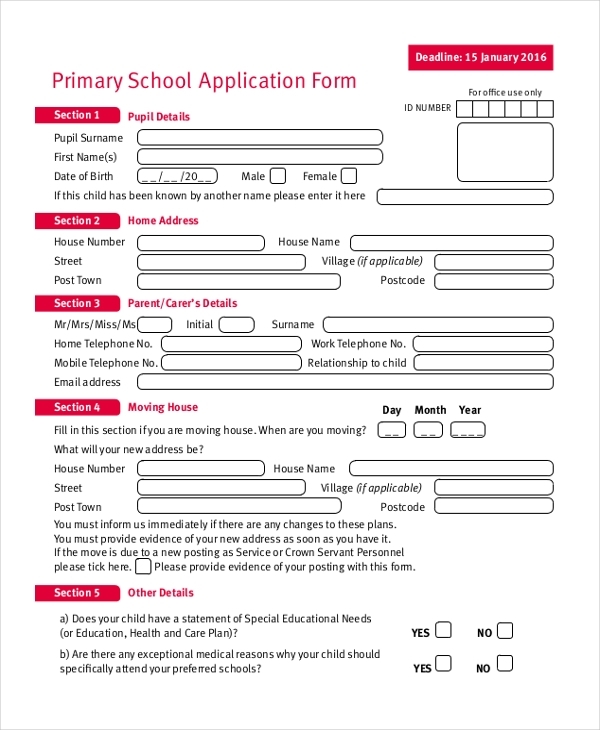 What are The Uses of These School Application Forms? If you just left high school and you would like to apply for a course in an institution of higher learning, you should consider downloading the school application form to do so. The document simply helps you to express your interest in a school without really spending too much time giving your input. Those who are looking for scholarships will find these files useful, too. Of course, identifying a scholarship program can be of great help, so use the appropriate form to apply for the position. 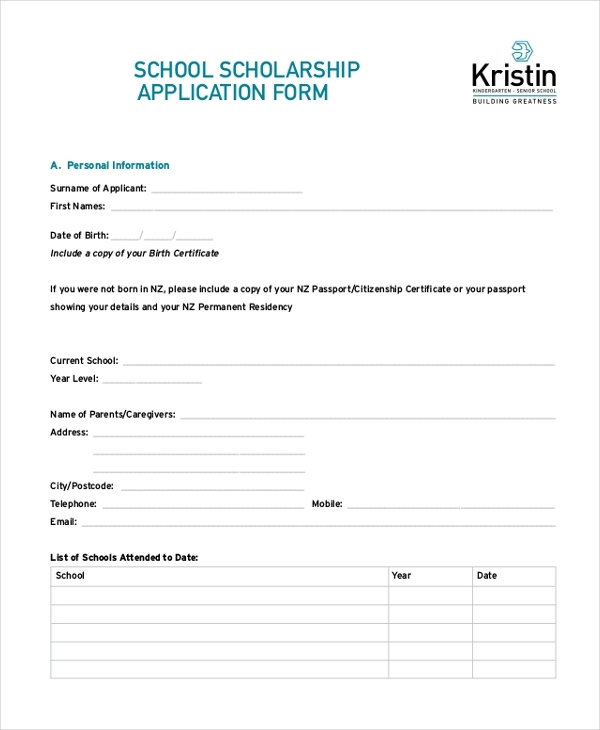 If you are a parent who would like to take their kids to school, there is a sample form on this page that will help you send out your application. There are two main reasons why you should be using these sample forms. First, they are a boredom killer. Yes, creating the templates don’t just take a lot of your time, it can be boring, too. Pre-designed samples, on the other hand, are always available for free download. You may also see Pharmacy Job Application Forms.